I’ve made remarks in the past about “lists” in magazines being nothing more than paid placements for advertisers. Well, wouldn’t ya know, URP showed up on Outside magazine’s Eight Best Outdoorsy Podcasts lists, and I had nothing to do with it. Thanks for the honor, Outside, and big thanks to my co-hosts Sarah and Ethan. …and if you’d like to get on board with adversing with URP, shoot me a message and let’s talk. Now’s a great time! Mario’s Morning Shakeout newsletter is a must read for me every week. Science! More time on your feet means more time on earth. How to handle your period on the trails or in an ultramarathon. Can’t figure out which would be worse: A beer mile with Rocky Mountain Oyster Stout, or with pizza beer? Nine months is a loooong ways away, but North Face Championship will sell out soon. Better get on it. Read this: Caroline Boller’s report from Olympic Trials. What went right, what she’d do different next time, and solid advice for everyone. And watch this: New Solomon film takes Anna Frost back to her home turn in Papau New Guinea. Hearing her talk about whether or not she’s lost her competitive edge harkened back to some of her comments in this episode from last year. India is adding an ultramarathon to its list of sporting events, right behind cricket and professional wrestling. UK’s new doping rule: Get caught, and never compete for your country again. Clear enough? In preparation for the Tahoe 200 in September, I’ll likely be doing all of these 50ks in Tahoe this summer. Anyone else? No ultramarathon content: Snowboarding with jet engines. Seems pretty mellow now, but give it a few years, and it’ll be huge. 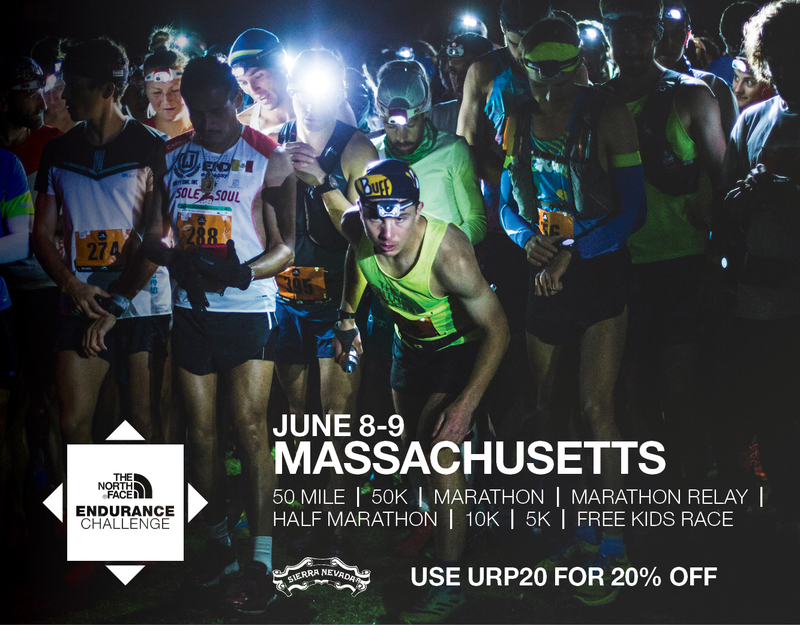 Looking for a cool ultramarathon or trail running sticker while supporting URP? Look no further. Anxious to see how this partnership between trailrunning and college sports turns out. New breed of speedsters in the next few years, for sure! Interesting article about this Ecuadorian mountain runner who helps people with FKTs, for sure, but also somewhat disappointing in that I (naively) figured many of those accomplishments were done without pacers. 15 Responses to "Ultramarathon News, Wed, Mar 2"
Two weeks before T200? Betsy’s tougher than me! Very true. It reminds me a bit of the fell running episode, in which Rickey Gates praises the culture for its lack of corporate presence, while essentially shooting an ad. Of course, I liked that video, and I like this one. That tension is an interesting part of trail running in general, and viewing those strike/slip points is instructive. I felt exactly the same way. It was a difficult story to watch in some ways. Waaaay to heavy for a beer mile though. You should check out Marlette 50k on Aug 21st. Awesome course (including Flume trail) and good timing for final tune up before Tahoe 200. I hadn’t seen that one. Looks nice and low key. Thanks, I’ll sign up. You running? +10! Marlette 50k is one of the best courses ever!!! I have marked it and worked the race the last 2 years and can’t wait to run it one of these years. 20 miles or so into the race, you get the few mile long and perfectly flat Flume Trail high above the east shore of Lake Tahoe and arguably some of the most beautiful views in the world. Perfect last 31 mile hike before Tahoe 200! Congrats on making the Outside list, you certainly deserve it, and also thanks for pointing me in the direction of some other quality outdoors podcasts. I’m going to check out Dirtbag Diaries and Enormocast. Many FKT’s are accomplished with much more than regular support. In ultra races, I think they call it “Muling”. I guess support is support however you look at it, but some people get WAY more support than others. Current Tahoe Rim Trail FKT’s are a good example of this.